Someone posted this on facebook... It's the Amityville house! Would you buy that for $1.15 million dollars? Nah. Here are some other houses, do you remember these...? 10 Things I Hate About You - I have a friend that actually went to the High School where they filmed this... and another that lives in the same neighborhood as the house they lived in, in the film. Sleepless in Seattle - So I live in Seattle and have never seen this house. I heard if you do the Ride the Ducks Tour you get to see it. How about Practical Magic? This house is on the San Juan Islands, a beautiful area just north of me. Some of the movie was filmed in Coupeville on Whidbey Island, where some old friends of mine grew up. What? Brenda and Brandon's house wasn't actually in Beverly Hills, 90210? Everyone's favorite San Francisco (TV) family! The Tanner house! 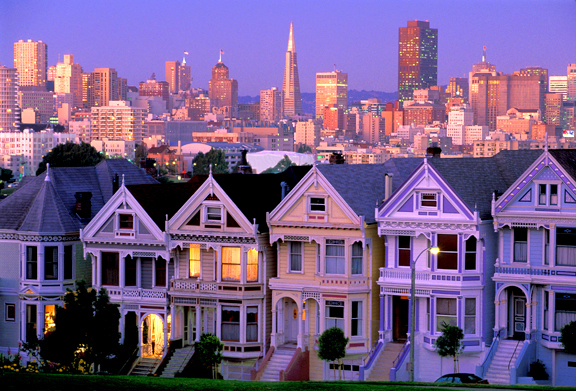 But we all might remember this a little better... the Painted Ladies! 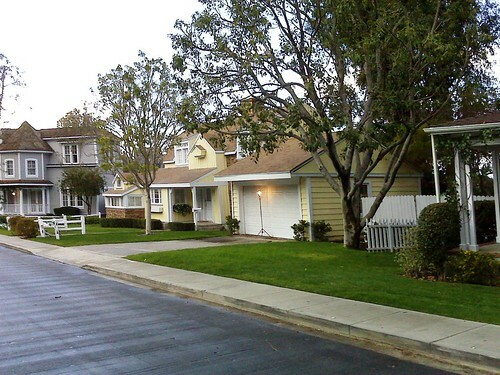 Wisteria Lane, where Desperate Housewives is filmed. Actually it is Colonial Street, a lot behind Universal Studies outside of Los Angeles. Other film and television productions in which 'Colonial Street' has featured include the original Leave It to Beaver series, Gremlins, The 'Burbs, and Buffy the Vampire Slayer.